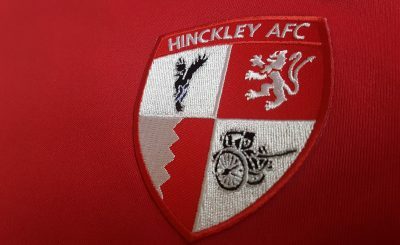 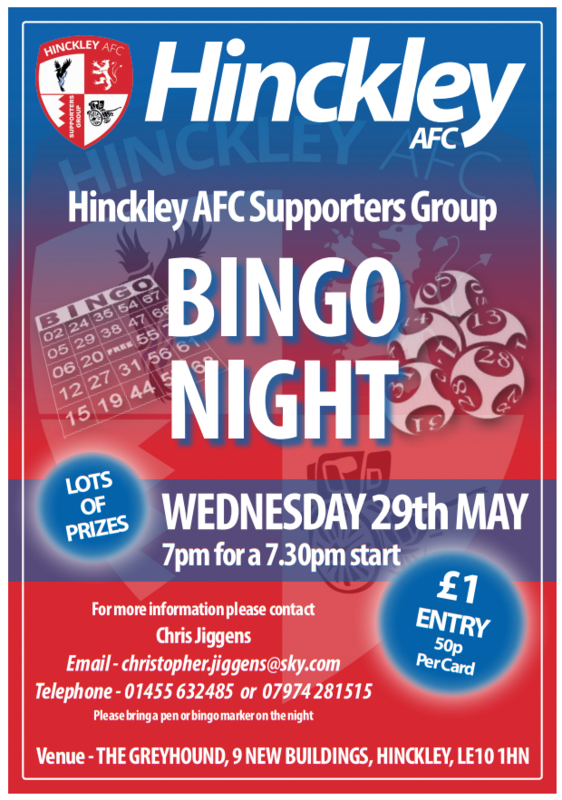 The Hinckley AFC Supporters Group have organised a bingo night for Wednesday 29th May. 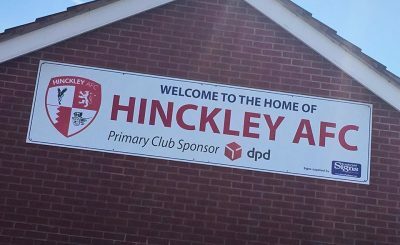 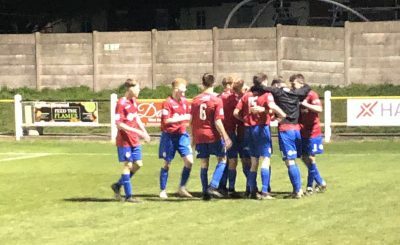 With the event taking place a month after the end of the season, get your Hinckley AFC fix by heading down to The Greyhound Inn on New Buildings for a 7-30pm start on 29th May. 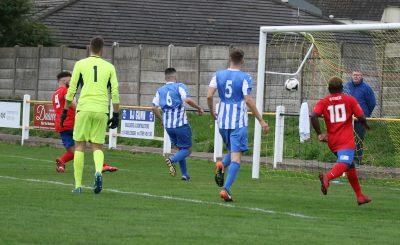 It’s just £1 entry and 50p per card, with plenty of prizes on offer for the winners. 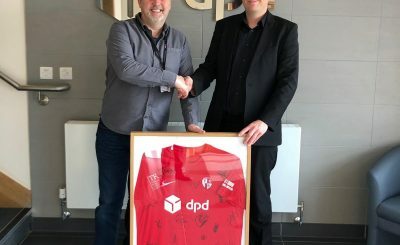 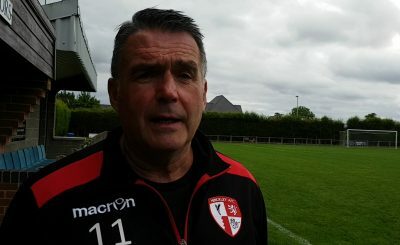 Donations for prizes are always gratefully accepted – if you have something you could put forward, contact Supporters Group Secretary, Chris Jiggens, on 01455 632485.